Short stories I have written and submitted for various contests and competitions. Last but not least is HJ Kruger. I met this multi-talented artist/writer/designer during my university years. He is an absolutely fascinating creature and I have spent much time marvelling at his art (photography, paintings, stories, designs and more). He has slaved away hours working on cover and banner designs for The Flight of the Phoenix and we are eternally grateful for his fantastic work. 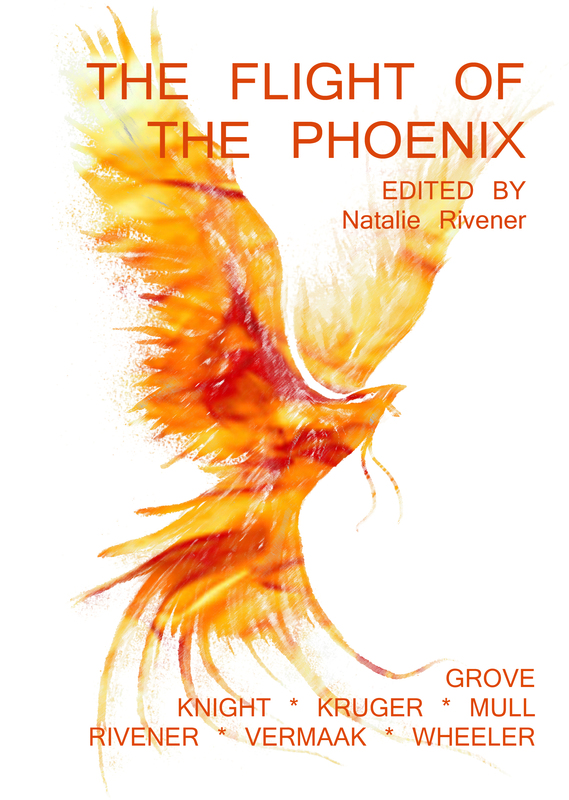 How has your participation in The Flight of the Phoenix changed your approach to writing? Let me start by saying what an amazing experience it’s been collaborating on this anthology. Flight of the phoenix taught me to be more focused in my writing and also to be more flexible. In developing a story specifically tailored for a publication I leaned to be receptive to constructive criticism and respect the creative process. The best thing of working on this project was the support and developmental feedback from the publisher, Siygrah Books, that always assured me that my story was in the best possible hands from the start. Is writing a short story much different from screenwriting? Screen writing is a lot more structured with a more defined format. The use of adverbs and inner dialogue, especially narration, is widely discouraged. Because a screenplay is never supposed to be a piece of literature by itself, it should rather be looked at as the creation of a blueprint that will guide and aid the filming process. When writing a short story I feel a lot freer to explore the minds of my characters and describe their inner realms, something that is sadly absent when you have to tell a story visually. As the cover designer of the anthology, what was your biggest challenge? The original image was a stunning hand-drawn image by Elsabé Viljoen; my biggest challenge was to reinvent the image to better suit the market and genre expectations and I think that the process was well worth it and yielded a image that both me and the publisher were happy with.